Our consultancy gives valuable tech advice and expert guidance, tailored to the client’s business key IT objectives and goals. Impax Assists in maintaining your organization’s competitive edge technology within the industry. 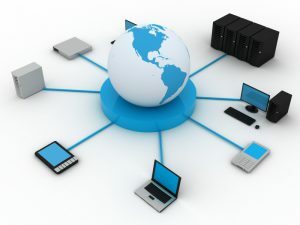 As it is usual with our ICT systems, our relationship with our clients extend far beyond the initial implementation. To this end, Impax usually provides one month’s free post implementation support. This is to cater for any teething problems that may be experienced after System go live. The support team will always involve at least one member of staff who was involved in the design and development of the software. After this period, the client will have the option of continued system support under a service level agreement (SLA). As a minimum, the SLA defines the response times for any support calls as well as regular ‘health checks’ and maintenance visits. Benefit from our very own dedicated help-desk, with in-house Technology Gurus. We also provides System Stabilize & Support service to clients to support systems not originally deployed by Impax Business Solutions. From there we can fix problems, add new functionality and support the system as part of our well-established software support service. Our IT systems are available and they evolve as your business grows, bringing you tomorrow’s technology today — at a competitive price.